HomeCleaningMiracle Magnetic Duster BUY 1 Get 1 FREE Plus 2 FREE Extension Poles! 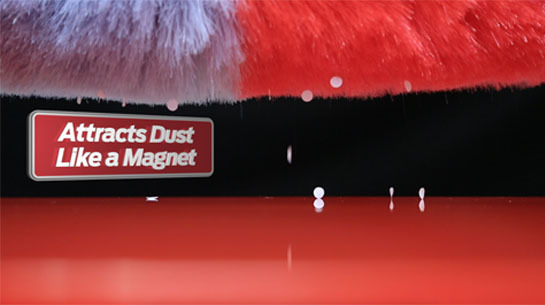 The Miracle Magnetic Duster attracts dust like a magnet! It bends and extends to clean all those hard to reach places! This offer includes 2 dusters and 2 Bonus extension pole. Miracle Duster ON TV - 5 Year Guarantee! This is the Most Amazing Miracle Magnetic duster that attracts dust like a magnet! If you have seen it on TV it attracts the dust and holds onto it so you can take it outside and shake it out. Clean the hardest to reach areas with ease! Stop struggling with cloths and wipes that make more mess than they clean. 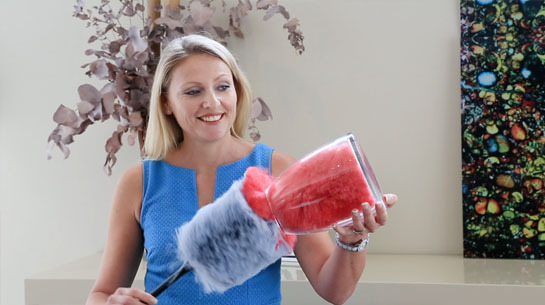 The Miracle Magnetic Duster Is the Duster on the morning show that uses a natural static charge to pick up and hold the dust around your home like a magnet. Clean dust the easy way. This duster is safe and wont scratch! The soft, voluminous dusting fingers are so delicate and won’t scratch, perfect for use on mirrors, TVs, glass and intricate vases and ornaments. 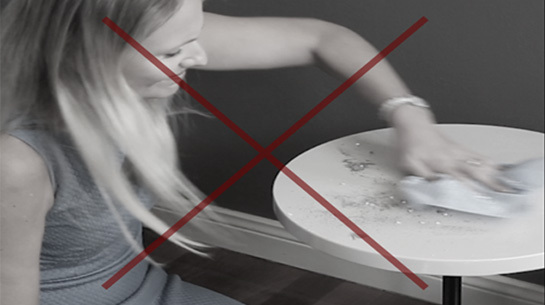 The T V Duster makes cleaning fast and easy and wont scratch your delicate items. Do you try to ignore those dusty vases that you just can’t get a normal cloth into? Hate cleaning the trophies and knick knacks because you can’t fit into the small grooves? 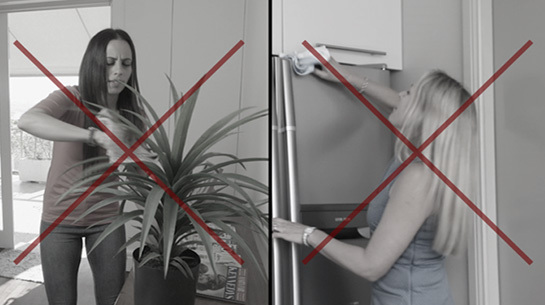 The Miracle Magnetic Duster fits into those tight spots with ease, perfect for in between cupboards, on top of the fridge, around the TV, inside vases, and so many more. The Miracle Magnetic Duster conforms to all shapes and fits into tight spots, so you will have a gleaming, spotless display in seconds. The soft bristles pass through the smallest of spaces, leaving no dust behind! One easy pass, and your home will be dust free! Not sure if your old duster is even picking up anything? The Miracle Magnetic Duster features two tone dust detecting colours, so you can see what it has picked up, and know when it needs to be cleaned. Washing your duster is so easy, just rinse it under a tap and it dries like new. 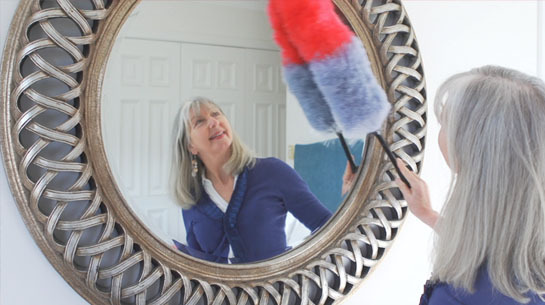 Give your duster a quick shake outside, and it will release all the dust, so you are ready to go again. Say goodbye to those creepy cobwebs that are just out of reach! When you purchase your Miracle Magnetic Duster today, you'll receive 2 FREE Extension Poles! Simply twist it onto the base, and you can now reach over 2 metres high! Perfect for ceiling fans, chandeliers and the tops of bookshelves. Because the Miracle Magnetic Duster bends to a 90 degree angle, you can clean furniture edges and corners fast and easy. Don’t miss out on getting your FREE Extension Poles today! Collects even the most microscopic dust particles! 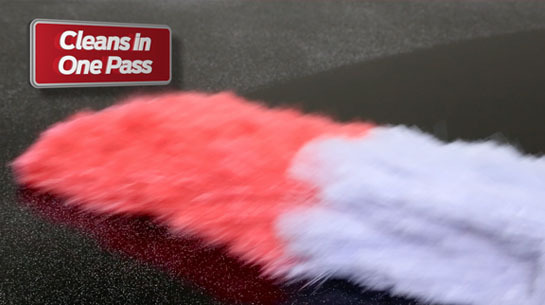 The 1000’s of magnetic fibre fingers attract every spec of dust on all surfaces! Miracle Magnetic Duster BUY 1 Get 1 FREE Plus 2 FREE Extension Poles + FREE POSTAGE! Easy to use. Get's to hard to reach area. Get's rid of all the cobwebs. Does everything it promises & more! It does everything it promises. A great asset to my cleaning work! Saves tons of time. 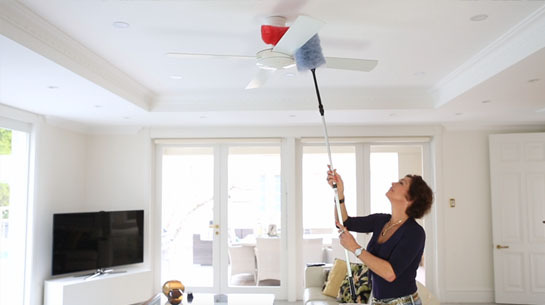 The bendable option is fantastic for dusting ceiling fans! In the past I'd have to stand on the bed, or in the living area get the step stool. Saves exertion!! And picks up all the dust perfectly. Wherever there's floorboards, and poky areas hard to reach with the vac, the miracle duster solves the problem. I even use it under couches sometimes, to pull out all the fluff off the floorboards ready for vacuuming. It a valuable and handy tool for sure. I'm so glad I purchased it. Thanks Kleva Range!